Chairman of Sovereign Global Partnership LLP, which is an international corporate accountancy firm that specialises in forensic accounting. Lay member Director and Chair of the Audit & Integrated Governance Committee of the East Riding of Yorkshire CCG. Appointed Governor Humber NHS Foundation Trust. The world of employment has changed according to global industry needs. Centralus responded by sharing employers’ responsibilities and enhancing employee engagement, effectively gaining the competitive advantage in the market. 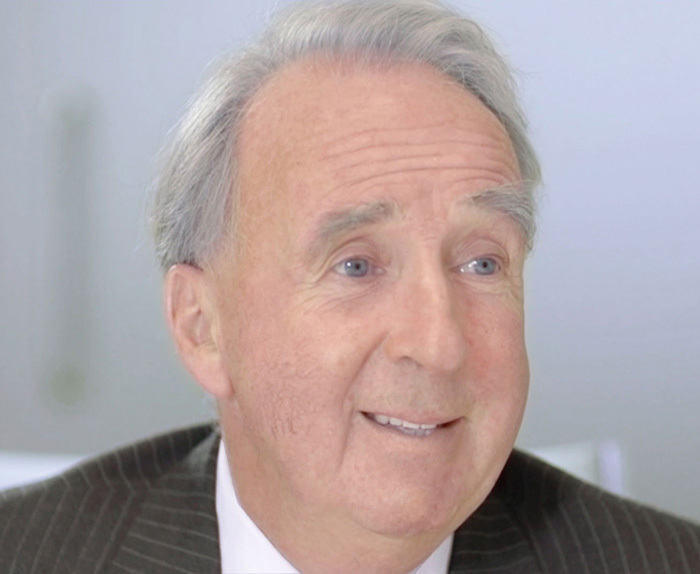 Starting in 2014, Jonathan Beckerlegge monitored the legislation changes for 18 months, through governmental white papers and the implementation process, to ensure that the specific approach would tackle all aspects of changes in employment legislation that were anticipated from April 2016 and onwards. For the last nine years, Jonathan has been working together with Victor Leginsky of Emirates Global in the UAE on financing three major biofuel projects for the Mid-Eastern Governments respectively. Victor was pleased to be involved with Centralus in raising the necessary funds for the investment to put together an unrivalled team with industry experience and start operating in this market. In January 2016, Jonathan was delighted to announce that his long-term associate, Mahmoud Zuaiter, was joining the group as Finance Director. Mahmoud Zuaiter is an international corporate finance executive. Jonathan recruited Mahmoud for this project because of his core finance and tax skills. Mahmoud has been successful in driving various listed businesses in a range of jurisdiction, but had expressed a great interest in this project because it related to transitional practices in UK tax law, an area in which he holds particular expertise. The team, having obtained the necessary funding for the new Centralus project from their connections in the United Arab Emirates, set about creating the new operation for nearly a year prior to its launch in 2016. Centralus has established a range of clients from the principals’ own connections and from that, we have set up a full infrastructure with a growing team of 95 people, including professional consultants, technical advisors and long-term contractors. 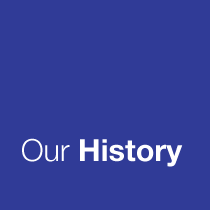 The organisation was initially set up as a limited liability partnership. Now, the establishment of Centralus Corporation Limited provides all of our stakeholders the security and financial covenant that comes with a multimillion-pound capitalisation. We aim to take the organisation to an initial public offering (IPO) within the next few years, thus Centralus was formed as the dormant holding company. Our team has a long and exemplary track record of achievements and experience in the industry. We want to empower our clients to meet employment demands. We offer them consultancy support on their responsibilities while keeping their workforce motivated and focused. Centralus deals with all enquiries from HM Revenue & Customs relating to the employees and is entirely responsible for payments of all Income Tax and National Insurance Contributions relating to the payroll of the employees. Our clients, the current employers, will be responsible for the day-to-day direction, control, and supervision of the employees. They maintain workplace insurance as required by their business sector legislation. The client will be entirely responsible for all Health and Safety and employment issues arising in the workplace. The administration function of employee responsibilities in undertaken by Centralus. There is no change to the terms and conditions of employment contracts. The change is only administrative in nature; it neither affects their employment rights nor their accrued and existing rights nor their years of service records. Besides payroll consultancy, we offer workplace pension & auto enrolment administration with real-time access to an online portfolio, VIP perks, and business protection. 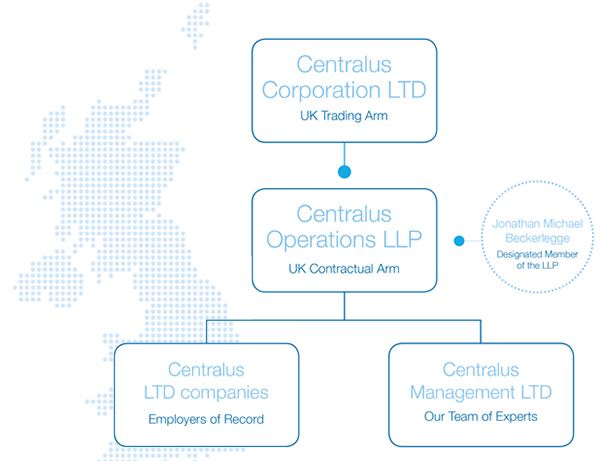 Centralus LTD companies: see Companies House for full list, Centralus Management LTD: 10488654), and address Wynyard Park House, Wynyard Avenue, Wynyard TS22 5TB. Centralus is an International Associate Member of National Association of Professional Employer Organizations (NAPEO). Formed in 1984, NAPEO promotes a Code of Ethics and best practices to its member companies. It represents about 85 per cent of the industry’s estimated $136-$152 billion in gross revenues and has 300 PEO members, ranging from start-ups to large publicly held companies with years of success in the industry, as well as some 200 service provider members. 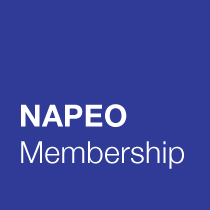 NAPEO International Associate Membership includes both service providers and companies who operate as PEOs outside the confines of the United States. Money Laundering and Terrorist Financing have been identified as major threats to the Centralus Group and, indeed, the international financial services community. The United Kingdom, in common with many other countries, has passed legislation designed to prevent money laundering and to combat terrorism. • The Joint Money Laundering Steering Group (JMLSG) guidance for the UK financial sector on the prevention of money laundering I combating terrorist financing. These policies and principles are designed to ensure that all group companies comply with the legal and reg ulatory requirements applicable in the UK as well as with their local obligations. • The provision of appropriate management information and reporting to senior management of the group’s compliance with the requirements. All employees receive train ing on the Anti Money Laundering and Counter Terrorist Financing policies and principles at least once a year, with more detailed and advanced training for those whose roles involve major financial risks. Failure to comply with these policies and principles may give rise to disciplinary action, up to and including dismissal. Centralus has a zero tolerance policy towards bribery and corruption. Centralus recognizes that bribery and corruption have an adverse effect on communities wherever they occur. If endemic, they can threaten laws, democratic processes and basic human freedoms, impoverishing states and distorting free trade and competition. Corruption is often associated with organized crime, money laundering and on occasions the financing of terrorism. In addition, the level and efficacy of investment and financing can be reduced, particularly within economically disadvantaged societies. Centralus is committed to applying high standards of honesty and integrity consistently across our global operations and in all our business dealings. Fie are subject to the provisions of the UK bribery act 2010 and the U.S foreign corrupt practices act, which have extra-territorial effect globally, as well as applicable local anti–bribery laws in relevant jurisd ictions. In addition to the anti-bribery and anti-corruption policy, Centralus has an introducer clause described in the Introducer agreement. The clause covers the activities of all third parties that generate or retain business, or secure a business benefit, for Centralu s. These third parties are termed “introducers” by Centralus. Potential examples would include senior advisors, lead generators and existing clients of Centralus Group. Centralus introducer policy is designed to protect Centralus against the bribery and corruption risks, reputational risk, and wider operational and conduct risks associated with introducers. Centralus employees must apply the specific controls and procedures set out in the policy. Regular reviews of the effectiveness of these group policies are carried out in addition to audits periodically undertaken by Centralus internal audit function. This provides senior executive management oversight committees and the board audit committee with the necessary assurance regard ing the operating effectiveness of the group’s controls relating to these policies . This statement is made pursuant to our company’s environmental initiatives and constitutes our group’s Environmental Policy Statement. This policy statement will be reviewed annually and published. CENTRALUS is a fully committed member of its industry in minimising the impact of its activities on the environment. 1. Minimise waste by evaluating operations and ensuring they are as efficient as possible. 2. Minimise toxic emissions through the use of its materials and the source of its power requirements. 3. Actively promote and encourage recycling both internally, to its employees & officers, and amongst its customers and suppliers. 4. Source and promote a product range to minimise the environmental impact of both production and distribution. 5. Adopt a training programme for its personnel to raise awareness of environmental issues and enlist their support in improving the Company’s performance. 6. Meet and comply to the environmental legislation that relates to the Company. 7. Implement an accredited programme to offset the greenhouse gas emissions generated by our activities. Where opportunities shall be identified, environmental initiatives may be extended to benefit the wider community; capturing the significance of social action and directly supporting the Company’s ethos and values. This policy applies to all of the Company’s operations in the UK. This means that all employees, administrators, consultants, partners and businesses carried on by the Company and/or their subsidiaries, whether they are incorporated within the UK or not, must comply with it, with no exemptions. This statement is made pursuant to section 54(1) of the Modern Slavery Act 2015 and constitutes our group’s slavery statement. This policy statement will be reviewed annually and published. CENTRALUS has a zero tolerance approach to any form of modern slavery and human trafficking. We are committed to acting ethically, with integrity and transparency in all business dealings and to implementing effective systems and controls in place to safeguard against any form of modern slavery taking place within our business or our supply chain. We are a very unique organisation that specialises in assisting companies in streamlining staff employment and payroll processing by incentivising staff through benefits and loyalty programmes whilst providing staff longevity and tax breaks. Have zero tolerance to slavery and human trafficking. The company directors and senior management shall have the responsibility to implement this policy statement and its objectives and shall provide adequate resources and investments to ensure that slavery and human trafficking does not take place within the organisation or within its supply chains. In Centralus we believe that our success is established, based on the professional and ethical behaviour of our people. Consequently, our reputation, both as individuals and as a firm, depends on it. As HR & Payroll professionals, we are responsible for adding value to the organisations we serve and contribute to their ethical success. We take on the responsibility for our individual decisions and actions. We are also advocates for the profession by engaging in activities that enhance its credibility and value. Our clients place their trust in us and in the work that we do. So, for us, it is paramount that we follow the highest ethical standards by providing services of the highest quality; thus, creating a business environment that reflects our fundamental beliefs including continuous development and innovation, responsibility, integrity and confidentiality. Centralus is committed to maintaining the highest standards of ethical and professional conduct and competency in HR and recruitment. All members are encouraged to be advocates of promoting best practice within the profession and must comply with the standards set out in this Code of Conduct. Our Code of Conduct highlights those key characteristics, which create an environment reflecting the highest professional and ethical standards. To support the organisations we work with in achieving their objectives and goals. To inform and educate current and future professionals, the organisations we serve, and the general public about the 7 principles and practices that help the profession (selflessness, integrity, objectivity, accountability, openness, honesty & leadership). To build respect, credibility and strategic importance within our organisation, the business community and the communities in which we work. To positively influence workplace and recruitment practices. To encourage professional decision-making and responsibility. Adhere to the highest standards of ethical and professional behaviour. Measure the effectiveness of HR in contributing to or achieving organisational goals. Our work is consistent with the values of the profession. Advocate for the appropriate use and appreciation of human beings as employees. Advocate openly and within the established forums for debate in order to influence decision-making and results. As professionals, we must seek to continually develop our professional knowledge and competence. To expand our knowledge in human resource management to further our understanding of how our organisation functions. To advance our understanding of how organisations work (“the business of the business”). To learn from appraisals and performance reviews and undertake further education and training, if necessary. Commit to continuous learning, skills development and application of new knowledge related to both human resource management and the organisations we serve. Contribute towards acquiring knowledge, the evolution of the profession and the development of individuals through learning, research and the dissemination of knowledge. Pursue certification, where available, or comparable measures of competencies and knowledge. In Centralus, we believe in the need to exhibit individual leadership as a role model for maintaining the highest standards of ethical conduct. To set the standards and be a role model for others. To earn individual respect and increase our credibility with those we serve. Be ethical; act ethically in every professional interaction. Question pending individual and group actions, when necessary, to ensure that decisions made are ethical and are implemented in an ethical manner. Seek expert guidance, if ever in doubt, about the ethical propriety of a situation. Through teaching and mentoring, champion the development of others as ethical leaders in the profession and in organisations. As human resource professionals, we are ethically responsible for promoting and fostering fairness and justice for all employees and their organisations. To respect diversity and not discriminate against people. To create and sustain an environment that encourages all individuals, and the organisation itself, to reach their fullest potential in a positive and productive manner. Treat people with dignity, respect and compassion to foster a trusting work environment free of harassment, intimidation and unlawful discrimination. Ensure that everyone has the opportunity to develop skills and new competencies. Provide an environment of inclusiveness and ensure commitment to diversity in the organisations we serve. Develop, administer and advocate policies and procedures that foster fair, consistent and equitable treatment for all. Regardless of personal interests, support decisions made by our organisation that are both ethical and legal. Act in a responsible manner and practice sound management in the country (-ies) in which the organisations we serve operate. As HR professionals, we must maintain a high level of trust with our stakeholders. We must protect the interests of our stakeholders as well as our professional integrity and should not engage in activities that create actual, apparent or potential conflicts of interest. To avoid activities that are in conflict, or may appear to be in conflict, with any of the provisions of this Code of Ethical and Professional Standards in Human Resource Management or with one’s responsibilities and duties as a member of the human resource profession and/or as an employee of any organisation. Adhere to and encourage the use of published policies on conflicts of interest within your organisation. Refrain from giving or seeking preferential treatment in human processes. Prioritise obligations to identify conflicts of interest or the appearance thereof; when conflicts arise, disclose them to relevant stakeholders. We take into account and protect the rights of individuals, especially in the acquisition and distribution of information while safeguarding truthful communications and enabling informed decision-making. To build trust among all the parts of the organisation by maximising the open exchange of information and, in parallel, eliminating anxieties about inappropriate and/or inaccurate attainment and sharing of information. Respect the confidentiality of both clients and candidates and comply with the relevant laws. Acquire and circulate information through ethical and responsible means. 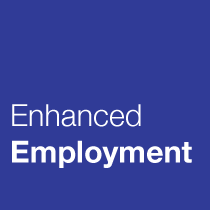 Ensure only appropriate information is used in decisions affecting the employment relationship. Investigate the accuracy and source of information before allowing it to be used in employment-related decisions. Maintain up-to-date and accurate HR information. Safeguard restricted or confidential information. Take appropriate steps to ensure the accuracy and completeness of all communicated information used in HR-related training. UK currently relies on the Data Protection Act 1998 that complies with the aforementioned 1995 EU Directive. It defines the law of processing data on identifiable living people and most of it does not apply to domestic use. Anyone holding personal data for other purposes is legally liable to comply with this Act, with a few notable exceptions. Individual or Data subject – any living individual who is the subject of personal data held by an organisation. Consent – means any freely given, specific, informed and unambiguous indication of the data subject’s wishes by which he or she, by a statement or by a clear affirmative action, signifies agreement to the processing of personal data. 2.1 Centralus, with registered address at Wynyard Park House, Wynyard Avenue, Wynyard, TS22 5TB and various offices across the United Kingdom is committed to compliance with all relevant EU and Member State laws in respect of personal data, and the protection of the “rights and freedoms” of individuals whose information Centralus collects and processes in accordance with the GDPR. 2.2 Compliance with the GDPR is described by this policy and other relevant policies such as the Information Security Policy (ISP) along with connected processes and procedures. 2.3 The GDPR and this policy shall apply to all of Centralus’s data processing functions, including those performed on customers’, clients’, employees’, suppliers’, and partners’ personal data, and any other personal data the organisation processes from any source. 2.4 Centralus has established objectives for data protection and privacy, which are in the Personal Information Management System (PIMS). 2.5 The Data Protection Officer (DPO) shall be responsible for reviewing the register of data processing annually in the light of any changes to Centralus’s activities and to any additional requirements identified by means of Data Protection Impact Assessment (DPIA). 2.6 This policy applies to all Employees/Staff/Contractors/Clients/Partners and third party providers of Centralus. Any breach of the GDPR will be dealt with under Centralus’ Breach Notification Procedure and/or Incident Management Centre (IMC) and may also be a criminal offence, in which case the matter will be reported as soon as possible to the appropriate authorities. 2.7 Partners and any third parties working with or for Centralus, and who have or may have access to personal data, will be expected to have read, understood and to comply with this policy. No third party may access personal data held by Centralus without having first entered into a Data Confidentiality Agreement, which imposes on the third-party obligations no less onerous than those to which Centralus is committed, and which gives Centralus the right to audit compliance with the agreement. To support compliance with the GDPR, Centralus Board has approved and supported the development, implementation, maintenance and continual improvement of a documented PIMS, which is integrated within the ISP, for Centralus. All Employees/Staff of Centralus and third party providers identified in the inventory are expected to comply with this policy and with the PIMS/ISP that implements this policy. All Employees/Staff will receive appropriate training. The scope of the PIMS will cover all of the PII (Personally Identifiable Information) that the organisation holds including PII that is shared with external organisations such as suppliers, cloud providers, etc. any applicable statutory, regulatory, or contractual obligations. The PIMS is documented within the ISP system, maintained in the Centralus Intranet. Centralus’s objectives for compliance with the GDPR are consistent with this policy, measurable, take into account GDPR privacy requirements and the results from risk assessments and risk treatments, monitored, communicated and updated as appropriate. 4.1 Centralus is a data controller for staff and marketing data and a data processor for client data under the GDPR. 4.2 The DPO and all those in managerial or supervisory roles throughout Centralus are responsible for developing and encouraging good information handling practices within Centralus. 4.3 The DPO’s role is specified in the GDPR. The DPO is accountable to Board of Directors of Centralus for the management of personal data within Centralus and for ensuring that compliance with data protection legislation and good practice can be demonstrated. This accountability includes development and implementation of the GDPR as required by this policy, and security and risk management in relation to compliance with the policy. 4.4 The DPO has been appointed to take responsibility for Centralus ‘s compliance with this policy on a day-to-day basis and has direct responsibility for ensuring that Centralus complies with the GDPR. 4.5 The DPO shall have specific responsibilities in respect of procedures such as the Subject Access Request Procedure and is the first point of call for Employees/Staff seeking clarification on any aspect of data protection compliance. 4.6 Compliance with data protection legislation is the responsibility of all Employees/Staff of Centralus who process personal data. 4.7 Centralus’s Training Policy sets out specific GDPR training and awareness requirements in relation to specific roles and Employees/Staff of Centralus generally. 4.8 Employees/Staff of Centralus are responsible for ensuring that any personal data about them and supplied by them to Centralus is accurate and up-to-date. All processing of personal data must be conducted in accordance with the data protection principles as set out in Article 5 of the GDPR. 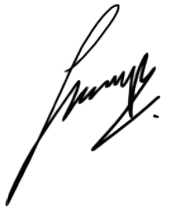 Centralus’s policies and procedures are designed to ensure compliance with the principles. Lawfully – you must identify a lawful basis before you can process personal data. These are often referred to as the “conditions for processing”, for example, consent. Data obtained for specified purposes must not be used for a purpose that differs from those formally notified to the supervisory authority as part of Centralus’s GDPR register of processing. The Privacy Procedure sets out the relevant procedures. The DPO is responsible for ensuring that Centralus does not collect information that is not strictly necessary for the purpose for which it is obtained. All data collection forms (electronic or paper-based), including data collection requirements in new information systems, must include a fair processing statement or a link to privacy statement and approved by the DPO. The DPO will ensure that, on an annual basis all data collection methods are reviewed by internal audit to ensure that collected data continues to be adequate, relevant and not excessive. Data that is stored by the data controller must be reviewed and updated as necessary. No data should be kept unless it is reasonable to assume that it is accurate. The DPO is responsible for ensuring that all staff are trained in the importance of collecting accurate data and maintaining it. Employees/Staff/clients/contractors and third-party providers should be required to notify Centralus of any changes in circumstance to enable personal records to be updated accordingly. It is the responsibility of Centralus to ensure that any notification regarding change of circumstances is recorded and acted upon. The DPO is responsible for ensuring that appropriate procedures and policies are in place to keep personal data accurate and up to date, taking into account the volume of data collected, the speed with which it might change and any other relevant factors. On at least an annual basis, the DPO will review the retention dates of all the personal data processed by Centralus, by reference to the data inventory, and will identify any data that is no longer required in the context of the registered purpose. This data will be securely deleted/destroyed in line with the Information Disposal Policy. The DPO is responsible for responding to requests for rectification from data subjects within one month. This can be extended to a further two months for complex requests. If Centralus decides not to comply with the request, the DPO must respond to the data subject to explain its reasoning and inform them of their right to complain to the supervisory authority and seek judicial remedy. Where personal data is retained beyond the processing date, it will be minimised/encrypted/pseudonymised in order to protect the identity of the data subject in the event of a data breach. Personal data will be retained in line with the ISP and, once its retention date is passed, it must be securely destroyed as set out in this procedure. The DPO must specifically approve any data retention that exceeds the retention periods defined in the ISP and must ensure that the justification is clearly identified and in line with the requirements of the data protection legislation. This approval must be written. The DPO will carry out a Data Protection Risk Assessment (DPIA) taking into account all the circumstances of Centralus’ controlling or processing operations. In determining appropriateness, the DPO should also consider the extent of possible damage or loss that might be caused to individuals (e.g. staff or customers) if a security breach occurs, the effect of any security breach on Centralus itself, and any likely reputational damage including the possible loss of customer trust. Identifying appropriate international security standards relevant to Centralus. Making regular backups of personal data and storing the media off-site. These controls have been selected on the basis of identified risks to personal data, and the potential for damage or distress to individuals whose data is being processed. Centralus’s compliance with this principle is contained in its PIMS, which has been developed in line with the ISP. Centralus will demonstrate compliance with the data protection principles by implementing data protection policies, adhering to codes of conduct, implementing technical and organisational measures, as well as adopting techniques such as data protection by design, DPIAs, breach notification procedures and incident response plans. To make access requests regarding the nature of information held and to whom it has been disclosed. Centralus ensures that individuals may exercise these rights by making data access requests as described in the Acceptable Use Agreement, which shall include the Subject Access Request Procedure. This procedure also describes how Centralus will ensure that its response to the data access request complies with the requirements of the GDPR. Individuals shall also have the right to complain to Centralus related to the processing of their personal data, handling of a request from a data subject and appeals from a data subject on how complaints have been handled in line with the Complaints Procedure. 7.1 Centralus understands “consent” to mean that it has been explicitly and freely given, and a specific, informed and unambiguous indication of the data subject’s wishes that, by statement or by a clear affirmative action, signifies agreement to the processing of personal data relating to him or her. The data subject can withdraw their consent at any time. 7.2 Centralus understands “consent” to mean that the data subject has been fully informed of the intended processing and has signified their agreement, while in a fit state of mind to do so and without pressure being exerted upon them. Consent obtained under duress or on the basis of misleading information will not be a valid basis for processing. 7.3 There must be some active communication between the parties to demonstrate active consent. Consent cannot be inferred from non-response to a communication. The Controller must be able to demonstrate that consent was obtained for the processing operation. 7.4 For sensitive data, explicit written consent of individuals must be obtained unless an alternative legitimate basis for processing exists. 7.5 In most instances, consent to process personal and sensitive data is obtained routinely by Centralus using standard consent documents e.g. when a new client signs a contract, or during induction for participants on programmes. 7.6 Where Centralus provides online services to children, parental or custodial authorisation must be obtained. This requirement applies to children under the age of 16. Centralus does not routinely process data in this category. 8.1 All Employees/Staff are responsible for ensuring that any personal data that Centralus holds and for which they are responsible, is kept securely and is not under any conditions disclosed to any third party unless that third party has been specifically authorised by Centralus to receive that information and has entered into a confidentiality agreement. 8.2 All personal data should be accessible only to those who need to use it, and access may only be granted in line with the Access Control Policy. 8.3 Care must be taken to ensure that PC screens and terminals are not visible except to authorised Employees/Staff of Centralus. All Employees/Staff are required to enter into an Acceptable Use Agreement before they are given access to organisational information of any sort, which details rules on screen time-outs. 8.4 Manual records may not be left where they can be accessed by unauthorised personnel and may not be removed from business premises without explicit written authorisation. As soon as manual records are no longer required for day-to-day client support, they must be removed from secure archiving in line with the Information Disposal Policy. 8.5 Personal data may only be deleted or disposed of in line with the Information Retention procedure. Manual records that have reached their retention date are to be shredded and disposed of as “confidential waste”. Hard drives of redundant PCs are to be removed and immediately destroyed as required by the Information Disposal Policy. Centralus must ensure that personal data is not disclosed to unauthorised third parties which includes family members, friends, government bodies, and in certain circumstances, the Police. All Employees/Staff should exercise caution when asked to disclose personal data held on another individual to a third party. It is important to bear in mind whether or not disclosure of the information is relevant to, and necessary for the conduct of Centralus’s business. 10.1 Centralus shall not keep personal data in a form that permits identification of data subjects for longer a period than Centralus is necessary, in relation to the purpose(s) for which the data was originally collected. 10.2 Centralus may store data for longer periods if the personal data will be processed solely for archiving purposes in the public interest, scientific or historical research purposes or statistical purposes, subject to the implementation of appropriate technical and organisational measures to safeguard the rights and freedoms of the data subject. 10.3 The retention period for each category of personal data will be set out in the Information Retention procedure along with the criteria used to determine this period including any statutory obligations Centralus has to retain the data. 10.4 Centralus’s information retention and information disposal procedures apply in all cases. 10.5 Personal data must be disposed of securely in accordance with the sixth principle of the GDPR. Any disposal of data will be done in accordance with the secure disposal procedure. All exports of data from within the European Economic Area (EEA) to non-European Economic Area countries (referred to in the GDPR as “third countries”) are unlawful unless there is an appropriate “level of protection for the fundamental rights of the data subjects”. The broader area of the EEA is granted “adequacy” on the basis that all such countries are signatories to the GDPR. The non-EU EEA member countries (Liechtenstein, Norway and Iceland) apply EU regulations through a Joint Committee Decision. Centralus may adopt approved binding corporate rules for the transfer of data outside the EU. This requires submission to the relevant supervisory authority for approval of the rules that Centralus is seeking to rely upon. Centralus may adopt approved model contract clauses for the transfer of data outside of the EEA. If Centralus adopts the model contract clauses approved by the relevant supervisory authority there is an automatic recognition of adequacy. Centralus assesses the level of risk to individuals associated with the processing of their personal data. Data Protection Impact Assessments (DPIAs) are carried out in relation to the processing of personal data by Centralus, and in relation to processing undertaken by other organisations on behalf of Centralus. Centralus shall manage any risks identified by the risk assessment in order to reduce the likelihood of a non-conformance with this policy. Where a type of processing, in particular using new technologies and taking into account the nature, scope, context and purposes of the processing is likely to result in a high risk to the rights and freedoms of natural persons, Centralus shall, prior to the processing, carry out a DPIA of the impact of the envisaged processing operations on the protection of personal data. A single DPIA may address a set of similar processing operations that present similar high risks. Where, as a result of a DPIA it is clear that Centralus is about to commence processing of personal data that could cause damage Centralus and/or distress to the data subjects, the decision as to whether or not Centralus may proceed must be escalated for review to the DPO. The DPO shall, if there are significant concerns, either as to the potential damage or distress, or the quantity of data concerned, escalate the matter to the supervisory authority. Appropriate controls will be selected, as appropriate and applied to reduce the level of risk associated with processing individual data to an acceptable level, by reference to Centralus’s documented risk acceptance criteria and the requirements of the GDPR.